“Heimat & Welt”, the journal for South Tyroleans living abroad, did an interview with me for their May 2018 issue. 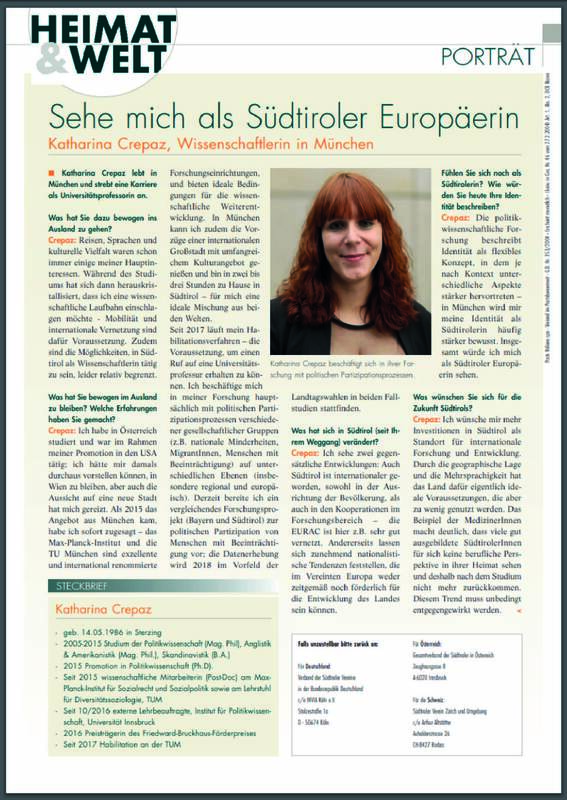 I’m very thankful to the KVW for the opportunity to share my thoughts on living abroad, being a scientist and on current socio-political developments in South Tyrol. Planet Science Talks at UniBZ! Workshop on Diversity in Science! Workshop on diversity in modern societies! In-House Seminar at Eurac Research!